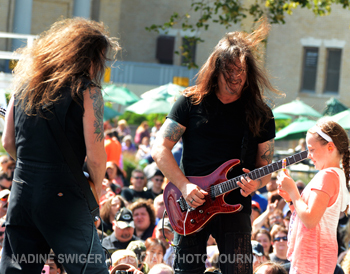 It was the “Youth Gone Wild” when Skid Row played The New York State Fair! 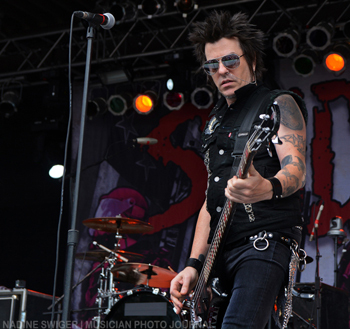 Skid Row wasn’t messing around! They took the stage, hitting hard with “Slave To The Grind!” and following it up with “Sweet Little Sister” and “Piece Of Me.” We were only 3 songs in, and you knew it was going to be a killer rock show! 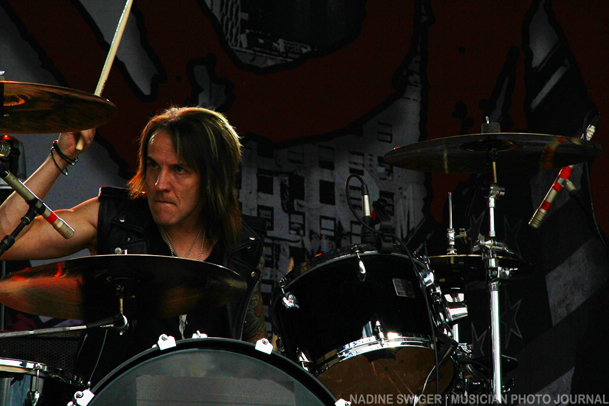 The sound was on point, the band was tight as ever and ZP Threat was slaying it on the vocals. 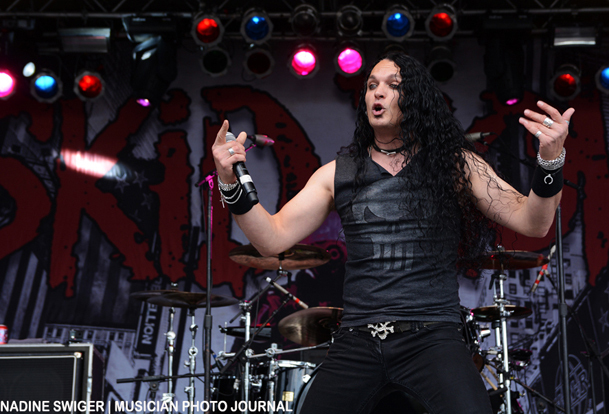 Not only does he have the range, his vocals are so solid and strong, it brings new levels to the Skid Row songs we all know and love! 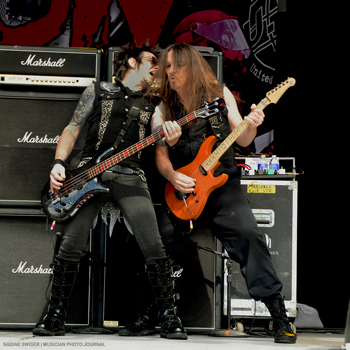 One of my favorite parts of a Skid Row show is during “Monkey Business” when Rachel and drummer Rob Hammersmith will break the song down and Dave “Snake” Sabo and Scotti Hill will go into a guitar solo battle. There really is never a winner as they are both incredibly talented guitarists and really just fun to watch as they go back n forth, smoking up the stage with some great licks. This time around, they invited a young inspiring photographer to capture the moment. 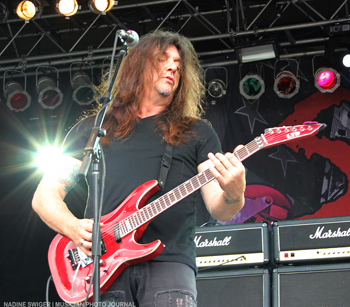 Of course, a Skid Row show wouldn’t be complete without “I Remember You” or “Youth Gone Wild!” This time around – Skid Row did something truly unique with their “Youth Gone Wild” performance. They invited a bunch of kids up on the stage to help out with the last song of the set. It really brought a young upbeat and innocent energy to the stage – you know that excitement only a child can possess (kinda like that feeling on Christmas morning when they first see Santa’s presents under the Christmas tree). The kids rocked out with a fist in the air and sang along. 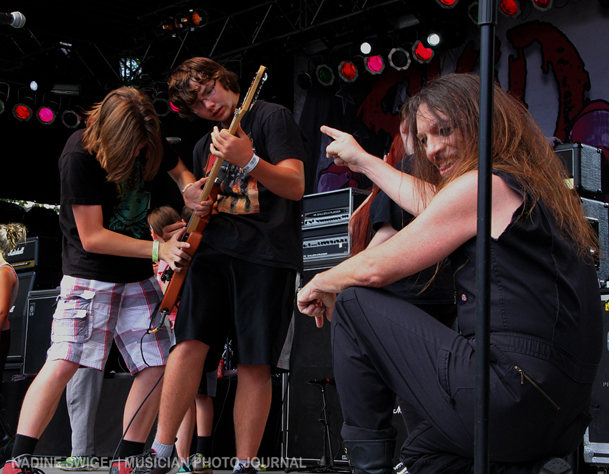 Snake shared his mic with one of the young ladies for backing vocals, ZP invited a young boy downstage to sing and Scotti not only let a few young fans share in his spotlight, he let them take his guitar and jam the last few bars! It was really an experience that will not only last a lifetime for the kids but as a spectator – it was truly something special to witness as well! 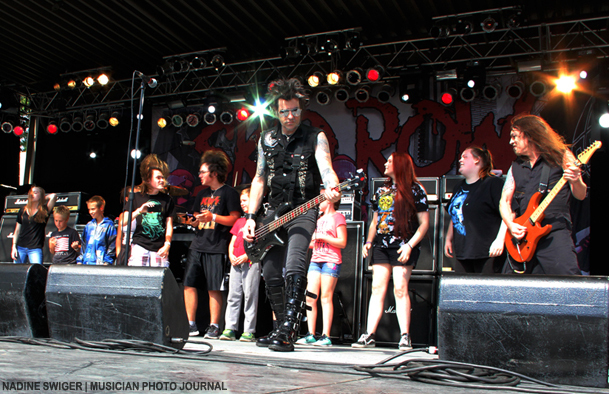 For fans young and old – Skid Row shows are a must!! Keep an eye out for when they hit your area as they continue to rock across the USA (with one date in Indonesia) until November. They have a short break before kicking off their European tour March 2 in Dublin. The tour will run until May 31st in Spain. Check tour dates listed below and their website for latest details.